Our O+ Venti LTE Review is out! The O+ Venti LTE is the company’s attempt in crafting an LTE-capable handset that offers value-adding features especially in terms of screen real estate. On paper, the handset bellies a quad-core processor, 1GB of RAM and a bigger 6-inch display; all of these features are included in a modest Php 6,395 price. The company wants you to go out and “explore” with the O+ Venti LTE. With that in mind, we will be weighing in if the handset is worthy of the added bulk in our pockets. Join us in our review of the O+ Venti LTE. Likewise, you can also watch our O+ Venti LTE Video Review at the bottom of this post. 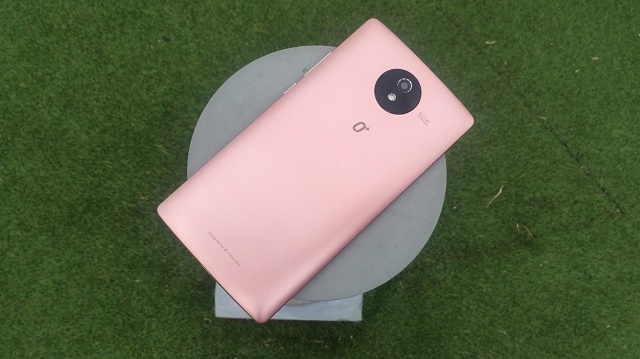 There’s a certain kind of satisfaction when we first laid our eyes on the O+ Venti LTE – its rose gold paint job exudes class and elegance. Visually, it's the most striking handset we’ve seen from the company. The front panel is the home of the 6-inch display framed in thick bezels. As we have mentioned in our first impressions and unboxing article, the depth of the handset is thick but the curved back panel offers a thinner edge at the sides of the handset. This allows it to easily nestle on your hands; but just like any other big phones, it’s hard to use using one hand. Going back to the screen, the display is basically the reason why it’s called “Venti.” This 6-incher packs a quarter HD resolution with 540 x 960 pixels. For a handset that frames a 6-inch display, a qHD screen might not be the best in this size however it's quite acceptable especially when using it indoors. In real-time usage, we have taken advantage of O+ Venti LTE's screen size. It allows better video playback experience, especially with friends. Likewise, it's also a dependable reading device and productivity handset. Screen comes with the right amount of clarity, though, I must admit, it's a different story when using it outdoors. The humongous handset ticks with a quad-core MediaTek processor which is complemented by an LTE chip for faster mobile connectivity. Coupling the chipset is the 1GB of RAM and 8GB of native storage, for faster multitasking operations and multimedia storage, respectively. The O+ Venti's modest feature set is definitely optimize with the feature-filled Android 5.1 Lollipop. 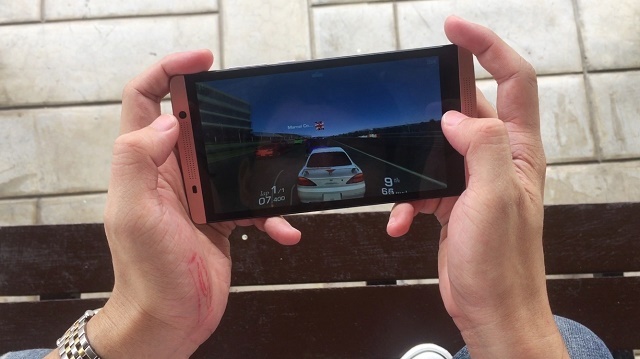 Overall experience is quite fluid especially in daily activities like browsing the internet, music streaming via Spotify, sending SMS and casual gaming. In other graphic-hungry activities the handset tallies from moderate to good performance. We have also done several activities maximizing the heft of the screen size smoothly. Video playback is very enjoyable, as well as playing some normal to medium graphic games. Favorite titles such as Clash Royale and Candy Crush run are close to perfect in this handset. Running Need for Speed, a graphic-intensive game, is surprisingly smooth. There's occasional lags but it's quite tolerable. The O+ Venti LTE also performs well in terms of benchmarks. 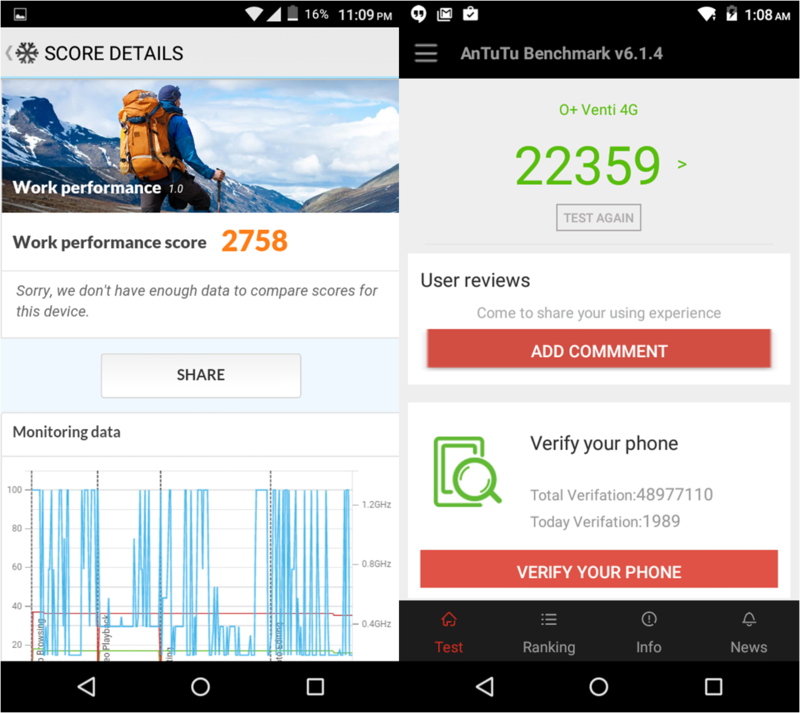 Despite the fact that newer local smartphones are scoring higher with their numerous processor, the smartphone registers 22359 score in the Antutu Benchmark. On the other hand, the handset is quite competitive in its 2758 PC Mark Score. Competitions may be in frenzy in the race to higher megapixel count but O+ smartphones, like the Venti LTE, still uses an 8-megapixel sensor. We believe that camera performance does not equate to higher pixel count and we think that the handset is another solid proof to the established fact. For our field testing, the O+ Venti takes decent to great pictures in a well-lighted environment. There’s an HDR mode and Panorama mode which produces effective stills. O+ USA has been very consistent in terms of their smartphone camera output. Though it may not leave you at awe, you will still have legit shots for social media images. Colors and contrast are also acceptable. Images tend to be good in terms of sharpness, however low-light shots still registers grainy results. Video recording is pretty straightforward. There are times when the lens tend to jump the focus into different objects in the frame. The Venti records 1080p videos and produces legit results. You can find the sample pictures and video below. Android Lollipop runs smoothly on the O+ Venti LTE - the Material Design still looks appealing in the eyes despite a number of bloatwares in the homescreen. However, considering the whole pie, O+ Venti LTE's firmware comes clean and simple with a few forgivable distractions. 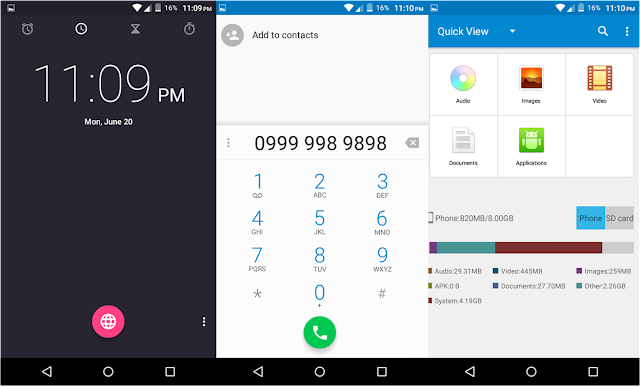 The battery management of the Android Lollipop is also one of the most sought-after features of the handset, or any other handset booting with this version of Android. 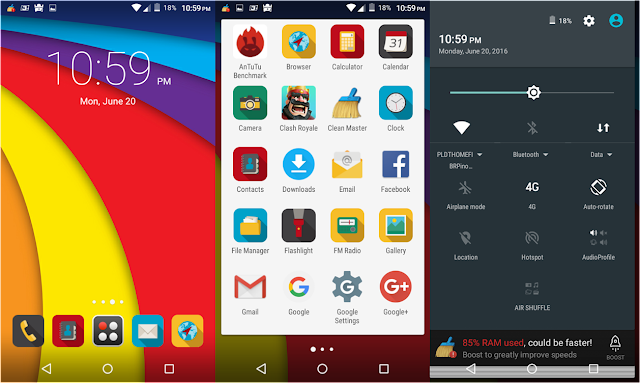 However, having a 6-incher smartphone, Android Lollipop fails to offer one-handed usage. This means that you need to use both hands while interacting with the phone, especially to those who have small hands like mine. Overall, O+ Venti LTE's Android Lollipop software is fun to use. Calls are quite clear even with noise in the background. Call quality also depends on area reception but most of the places we've been to, the handset's calling prowess is in high bars. Using the Venti's loudspeaker in streaming Spotify titles is great despite the use of mono speakers. Likewise, our experience with LTE connectivity is very worthwhile. O+ Venti LTE is a very capable smartphone when we talk about mobile data speed. Connecting to LTE network is also fast, I managed not to refresh network availability just to search for LTE signal. There's no denying the fact that LTE connectivity is the handset's best feature. The O+ Venti LTE also boasts an efficient battery module which allows the handset to have a decent working time on the road. In our battery test, we have managed to squeeze an ample amount of juice in roughly 7 hours with moderate usage. To get to the point, O+ Venti LTE won't give you a headache when it comes to battery efficiency. The Android 5.1 Lollipop battery saver functionality, which turns off the data and limit other functions, might also be one of the thing that keeps the phone invigorated throughout the day. When it comes to recharging the phone, it's a different story. Charging the handset, for the first time, took me over 4 hours to hit 100 percent. O+ is not new in making large-screened devices. While it has a reliable LTE connectivity, Venti's size hampers the ease of mobility that the company is pushing for. The software may not be optimized to take advantage of the bigger screen real estate. However, it’s a common challenge to other local handsets with bigger display. On the bright side, O+ Venti LTE is very effective when using it as a multimedia device – big screen, fast LTE radio, and decent loud speaker. It also takes great photos which outweighs some gripes in its software. All in all, it’s a great smartphone (a phablet at that) with refreshing design, average at best battery life and solid build. So If you want to go bigger in terms of your device, you could say "Yes, Venti please."